The American West is rife with hellish nomenclature. Settlers pushing west from the organized United States into the Plains and Rocky Mountains found the land harsh and difficult, and named places accordingly: Devil’s Gate, Hell Creek, Hades Knoll, and even at least one town named simply Hell. 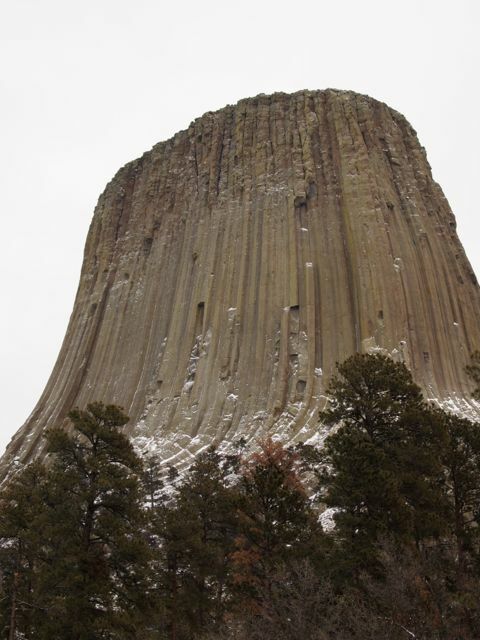 Perhaps the most famous of these is Devils Tower, a striking and magnificent formation in northeastern Wyoming. I’m not sure what evoked satanic thoughts in the heads of those who named it that, but Devils Tower certainly looks eerie in many ways. No other formation nearby looks the same, and I certainly have never seen anything else like it. Devils Tower isn’t terribly remote by modern transportation: it’s off the Interstate highway, but less than two hours’ drive from where I was staying. However, you have to try to get there: it’s not on the way anywhere else, and there’s no substantial town close by. But then as you drive closer, it appears across the valley: a tall, narrow, steep-sided protrusion of rock in the midst of low mountains. While not quite otherworldly, Devils Tower is evocative; no wonder it features heavily in the religions of the native peoples of the region. Up close, the tower is even more interesting: it consists of a bundle of long rock columns. Most of these are hexagonal, with a few pentagonal and rectangular columns as well. 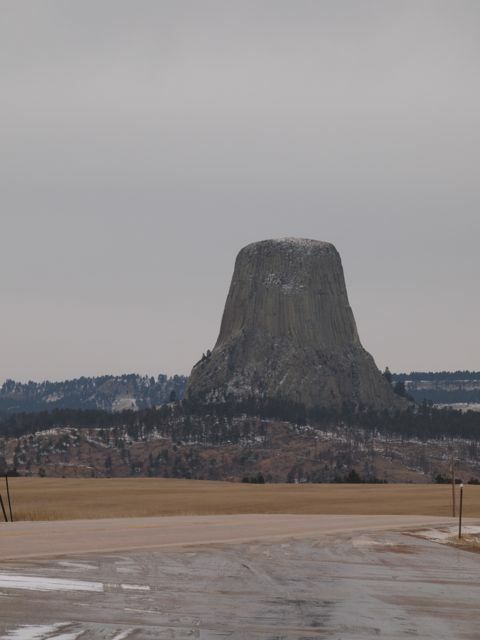 This fascinating structure — and the shape of Devils Tower in general — is of course a function of its geological history. While the details are still in question, the big picture is straightforward: some 50 to 60 million years ago, hot magma forced itself into layers of softer rock deep underground. 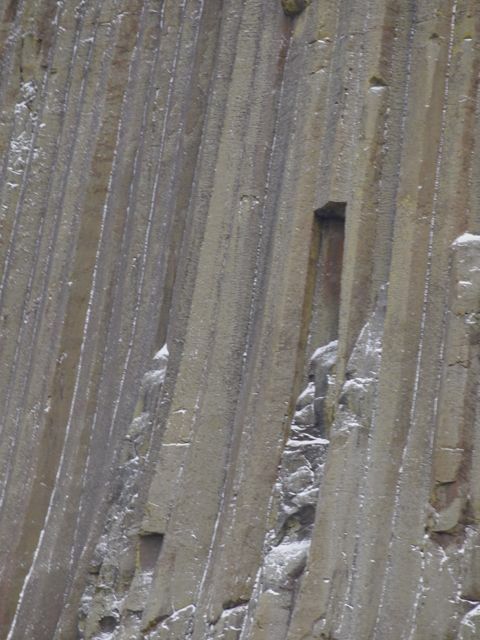 As it cooled, the former magma fragmented into the columns of the modern Devils Tower. Then, over the millennia, the land around the formation eroded away, while the igneous rock remained. So, the Devils Tower we see today was born deep underground. To me, it’s a beautiful example of something that looks inexplicable, yet we can understand through science — yet the marvel of seeing it is undiminished by comprehension. Far from losing a sense of wonder, scientific knowledge leads us to greater wonder. Every devil I meet becomes a friend of mine, indeed.